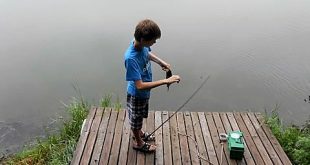 Home » Tag Archives: youth fishing. Our Nebraska Game and Parks Commission family fishing trailer, several agency staffers and a host of volunteer fishing instructors were on hand today to lend assistance to some 70-80 folks who braved the high winds at Omaha’s Benson Park Lagoon and participated in the annual Cops and Bobbers fun fishing event for kids and families sponsored by Omaha Police. Here are some quick pics of the event to share with you. 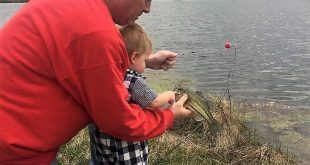 Quick note to let you know that I just booked these two awesome anglers and Gretna High Dragons – Eric Soe and Payne Ahrens who won the recent Nebraska State High School Bass Fishing Tournament for my Saturday, August 17th LIVE Great Outdoor Radio Show on Omaha’s KOZN Radio/1620 AM and online at www.1620thezone.com from 9-10 a.m. CST. Tune in!